A satellite phone is a life-line for those who live off grid. If you need emergency services and/or rescue you need a reliable way to get help. For preppers, satellite phones can be a way to navigate, signal for help, or simply keep in touch when the grid goes down during a disaster. But, with advances in satellite phone technology, and a reduction in price, off-griders can use satellite phones for other types of communication too. Phone calls, texting, and even internet access are now available on satellite networks. The battery life, quality, and speed of these services will be less than a smart phone in the center of a city can achieve, but still, any access at all is remarkable. 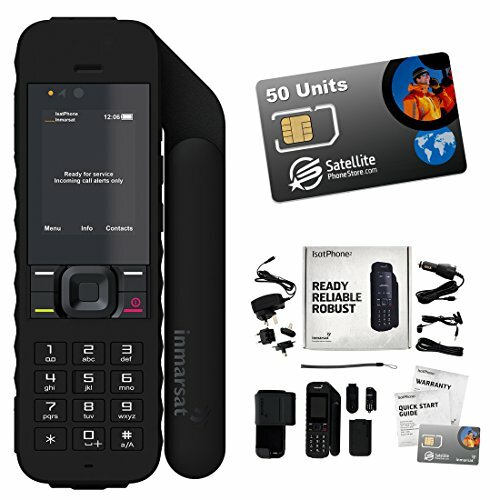 For emergency or for daily communication, how can you find a satellite phone that will work reliably in your area, be durable enough to withstand a disaster, and not be a burden on your off-grid lifestyle? Here’s our step-by-step guide to finding the perfect satellite phone for you. Most satellite providers carry their own phones and offer a handful of packages. So you’ll have to balance your need for a specific type of phone with your package and network needs. The first step is to determine which networks will work for your area. We’ve going to talk about the main ones for the continental U.S. (Iridium, Globalstar, and Inmarsat). We’ll also briefly mention a fourth option that covers some areas the others don’t. While coverage maps are helpful, they don’t tell the whole story, Local geography and weather conditions can effect you. So, ask people in your direct area about their satellite coverage. Also, it may be best to rent a phone first to see how well you can make a connection from your off-grid home. Iridium has a grid of 66 low-Earth orbiting satellites that allow for communication anywhere on the globe. The satellites move, so you have to re-connect your phone when the satellite you’re using gets out of range. However, because Iridium’s satellites are not stationary, the grid is easier to use around mountains and other difficult terrain. The U.S. military relies on Iridium for global communication. Iridium is also the only company operating at both poles. If you live near mountains or canyons, Iridium or Globestar are the networks for you, but you will still need reliable line of site to the sky towards the satellite. You may not have access to a satellite all of the time, but if you get a signal once in a particular spot, you will get it again. You just have to wait until the satellites move again, or weather conditions ease. 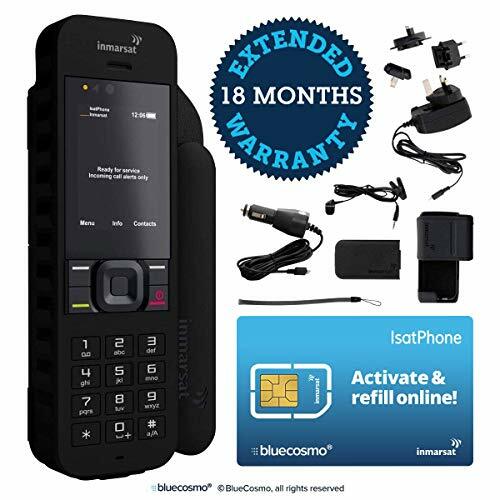 Be careful, as sometimes U.S. embargoes prevent Iridium satellite phones from being used in several countries, including North Korea. If the embargoes change, the limitations do too. Further, sometimes local laws will stop you from using other satellite phones and providers. Globalstar has 40 satellites that move around the Earth, just like Iridium’s satellites. Though, they have fewer satellites so they have a smaller coverage area. You can find their coverage map here. Globalstar covers all of the continental U.S., Alaska, Canada, Europe, Japan, most of Russia, and some of South America (sorry Hawaiians). While Globalstar works everywhere in the continental United States, if you choose a prepaid plan, your phone will stop working along the Mexican border. That’s a problem if you live right nearby and might get lost and step over the line. Globalstar also had problems with their first generation satellite network. There was a class action lawsuit against them, and some kind of investor kerfuffle. The company went bankrupt, but came back with a new satellite design and second generation network. The network has now been operational since 2013, and is much more functional than the previous network, but some people still report problems. Ask people in your area to get an idea if Globalstar is worth it for you, or rent a phone. Preppers will be especially interested in Globestar to Globestar calling, which uses a closed network that is more secure during disasters. Inmarsat uses three geostationary satellites, or satellites that maintain their fixed position, nearby the equator. This means that if you can make a connection with the satellite you won’t lose it. The Inmarsat network technically covers the whole globe, except for the poles. One satellite sits over the Americas, one is over Oceania and also covers some of Asia, while the third sits over Africa and also covers Europe and the rest of Asia. However, if you don’t have line of sight to the satellite you won’t be able to make a connection. That means that those in canyons and mountains will have trouble using the Inmarsat network, because even if you’re near the Equator, rock will prevent you from seeing the satellite. Those in higher latitudes will have worse service than those who are lower. While Inmarsat says it works to the 82nd parallel (in both directions) those around or above the 49th will have trouble finding an area that is open and flat enough to connect. Hawaiians will be happy to hear that Inmarsat will work for them!